Chinese enterprises should prepare for possible changes in policy and the business environment in Australia in order to manage potential investment risks in the market, an expert said on Monday. The comments came after Australian Prime Minister Malcolm Turnbull used unusually sharp language to reject China's complaints after he raised concerns about Chinese influence in domestic politics last week, according to media reports. Geng Shuang, spokesman for China's foreign ministry, said Friday at a regular press conference that he was shocked by Turnbull's remarks, saying "these groundless and unfounded remarks can sabotage China-Australia relations and are detrimental to the foundation of mutual trust and cooperation." A shift in Australia's political attitude toward China would bring a negative impact for Chinese companies operating in the Australian market, noted Wang Jun, deputy director of the Department of Information at the China Center for International Economic Exchanges. Wang told the Global Times on Monday that Chinese companies may not feel the tension in their business in the short term, but after some time they might start to see certain changes in the local business environment and policies. "The recent political tension between China and Australia is unlikely to change my company's plan to enter the Australian market," said a senior employee surnamed Luan from a garment producer in Qingdao, East China's Shandong Province. 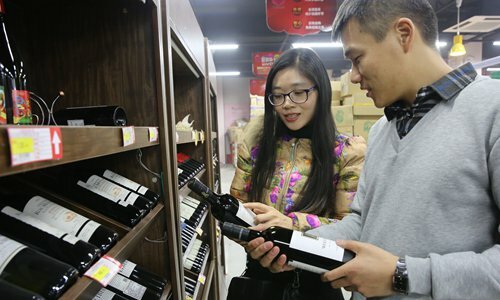 "Business is just business, and if there are many orders, we are willing to take them," Luan told the Global Times on Monday. A property developer in Shenzhen, South China's Guangdong Province, also told the Global Times on Monday that investment in Australia has not been hindered for now, but the situation will need further observation. Wang said that Chinese enterprises should enhance their competitive competence and make preparations for potential changes of policy and laws in Australia. "Domestic firms should watch out for risks when investing in the Australian market," he said. "It is not easy for Australia to keep a distance from China because the country depends on economic and trade cooperation with China," Wang noted. Australia is the second-largest recipient of Chinese outbound direct investment after the US, according to a report released in May by KPMG and the University of Sydney. Australia received $90 billion in new Chinese investment from 2007 to 2016, it said, noting that Chinese investment in Australia rose 11.7 percent in 2016 to $11.49 billion thanks to growing interest in the country's commercial real estate, infrastructure and agriculture sectors. China was Australia's largest trade partner by the end of September this year. The trade in goods between China and Australia reached $92.07 billion from January to September, up 25.4 percent year-on-year, according to data from China's Ministry of Commerce. The political tension between China and Australia has not yet affected the tourism sector as trips to Australia are still popular among Chinese people this winter, industry insiders said. "The tourism sector has not felt the tension so far… Domestic travelers often book trips one or two months in advance and trips to Australia in December 2017 and January 2018 have already sold out," Shanghai-based tourism company Lvmama told the Global Times on Monday. The number of Chinese tourists to Australia rose more than 100 percent year-on-year from January to November, according to data from Lvmama. Vicky Wang Zhuo, co-founder and CEO of online travel platform pinchain.com, told the Global Times on Monday that the tourism sector has been unaffected so far because now is the busy season for traveling to Australia as it is currently summer in the country. "My choice hasn't been affected because the tension is just like a normal political game between China and Australia, which should not be overstated or become a cause of public outrage," Tang Tang, a 20-something Beijing resident, told the Global Times Monday. But a 30-something white-collar worker in Beijing who only gave his name as Robin said that he would not choose to travel to Australia if the bilateral situation becomes worse, because of concerns that "Chinese tourists may not be welcomed or get good service in the country."